Does this book look familiar? I added it to my crafty Christmas wish list this year. Santa didn't get the message, so I bought it for myself during Needlework's boxing week sale. In 1922, The Farmer's Wife Magazine asked it's readers to submit letters answering the question, "If you had a daughter of marriageable age, would you, in light of your own experience, have her marry a farmer?" and this book features 111 quilt blocks inspired by many of the winning letters. You can read more about it here. Now, 111 different blocks is a mighty ambitious project, which I never intended to take on. 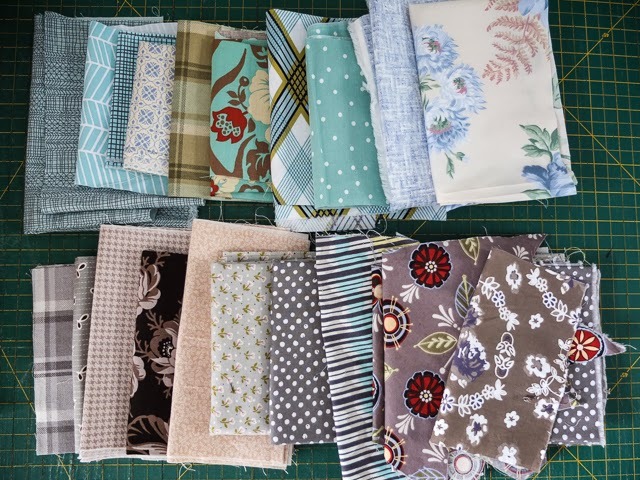 I bought the book as a resource, thinking I would choose one or two blocks at a time for small quilts. 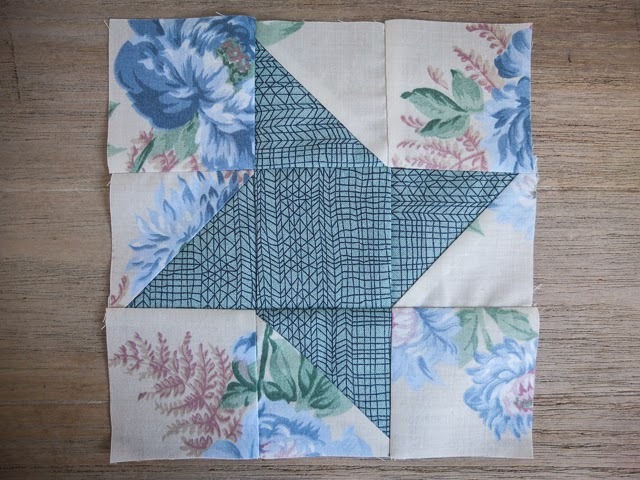 But as more and more photos pop up online of beautiful blocks and completed quilts, I'm starting to feel the urge to take on the whole dang thing. I've never made a quilt for myself and this would certainly be one special enough to keep. 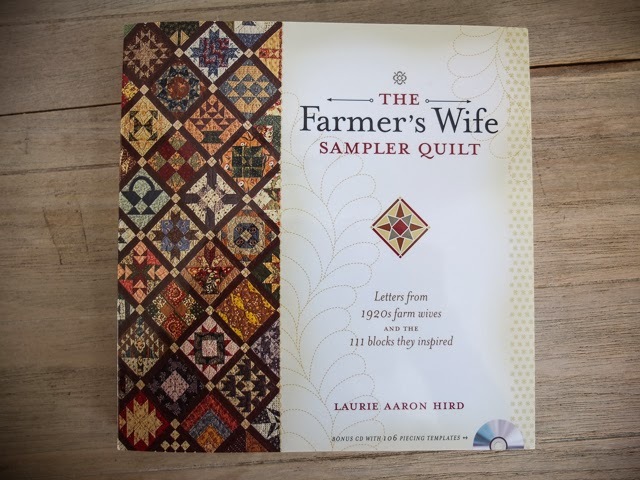 Then Needlework announced that they are hosting a Farmer's Wife Quilt-Along this year! Hook line and sinker. They are doing one block a month, but I'm going to try to sneak in a few more. To put this challenge in perspective, to complete a queen-size quilt (111 blocks) in one year, I would have to make 9.25 blocks a month; a twin-size (83 blocks) would be 6.9 blocks a month. Haha! Yeah, this is a two- or three-year endeavour. Are you ready? First step is to pick out my colours. As usual, I spent an inordinate amount of time on this. I intend to keep this quilt for myself, so first I thought of the colours that Mike and I tend to gravitate towards at home: grey, blue, green. Then I turned to the black hole that is Google Images and Pinterest. I loved all the multicoloured versions I saw, but stuck to my original plan, reinforced by Karyn's gorgeous blue and grey palette and Splendorfalls' blues and greens. So then I went to my stash and here is what I ended up with. I'm also flirting with the idea of pops of green, yellow or red. We'll see. I'm sure it will evolve a lot over time. 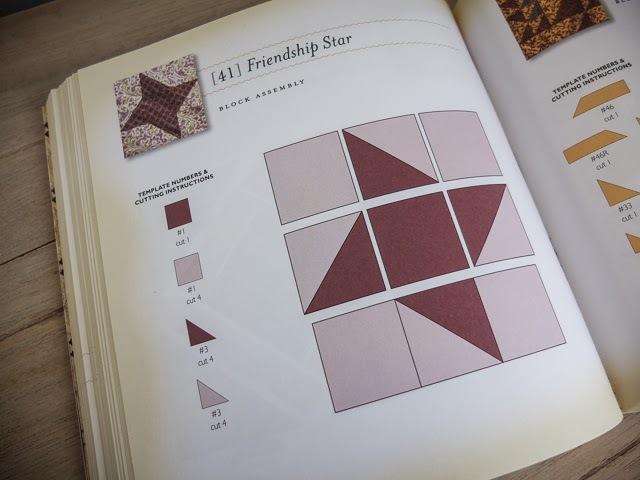 The first block that was chosen for January was the Friendship Star. "If my daughter has truly found the right man in her farmer, she will have the best opportunity for ideal companionship. 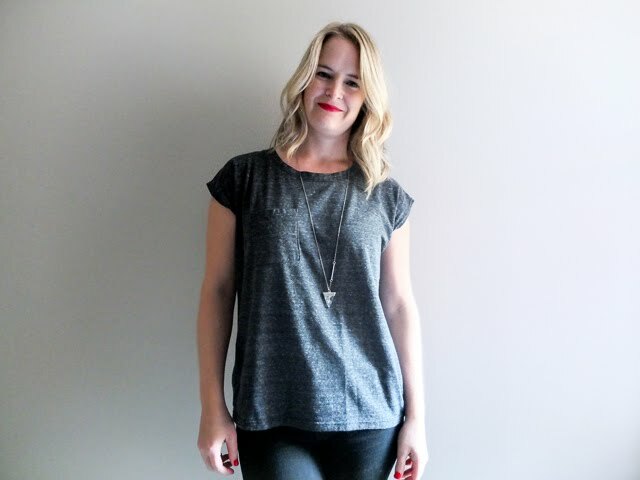 She can be his helpmate in every sense of the word, sharing his work, pleasures and problems, and justly earning a share of credit for his accomplishment." -- Mrs. J. M. V.
And here is my block! I thought about hand piecing all of the blocks. What an amazing keepsake that would be, eh? But I gave up that idea after struggling with this one for two hours. Hopefully it will get easier (and quicker) with practice so I'll have more to show off in February. Wish me luck! 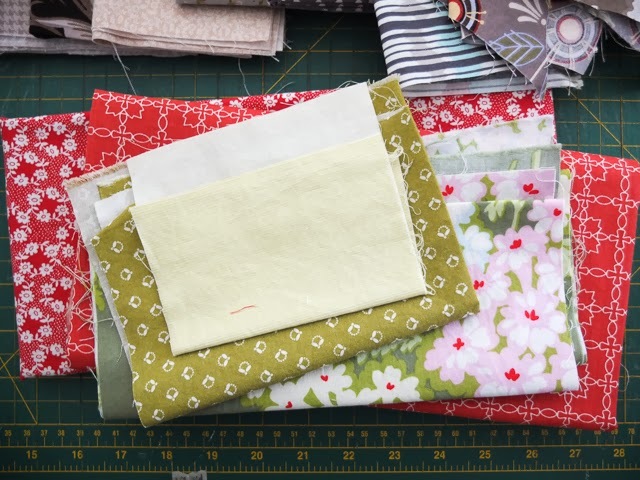 And by all means, if you're joining in the fun, let me know — we can be quilt-along buddies!